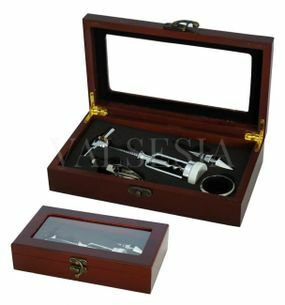 Gift box with accessories for wine is ideal complement to donate a bottle if you feel that the bottle itself is like a little gift. 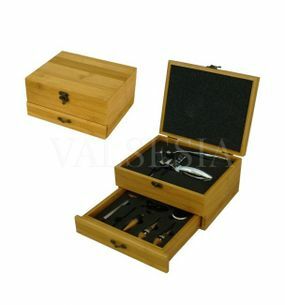 Thus creating an interesting gift set, which is to please every lover of good wine. However, it is of course also suitable as samostatný gift. 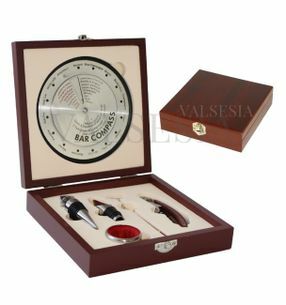 In addition, each gift box with accessories for wine contains a set of useful devices to the tasting of wine simply belong. 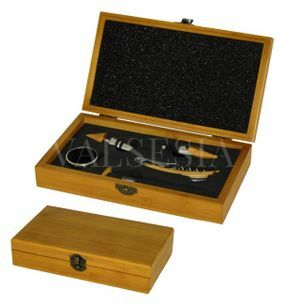 The gift box can be found corkscrew, stopper rings on the neck of a wine bottle, glass and the like. 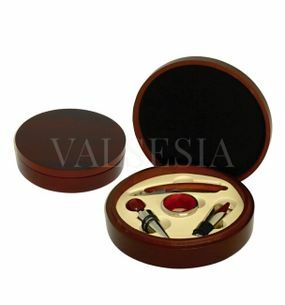 Gift box with wine accessories are made of quality materials, whether it is a wood, mahogany, artificial leather or bamboo. 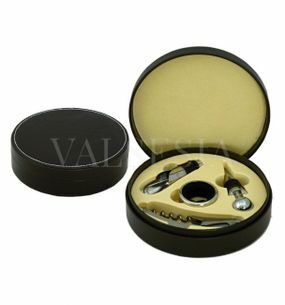 Simply openers, rings neck bottles, funnels and other accessories to wine in those gift boxes look really representative of what we appreciate your friends, business partners or clients. 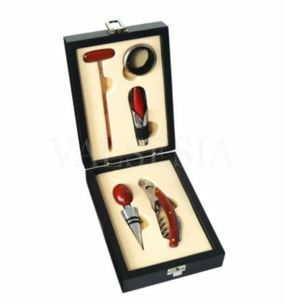 Darčeky a doplnky k vínu Corkscrew Deluxe accessories in gift box - bamboo Exclusive, elegant set of devices wine with a corkscrew for wine in a beautiful gift box in bamboo design. 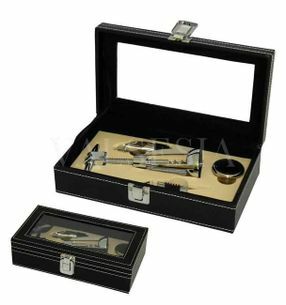 Valuable gift, which will be pleased everyone, whether you are donating to the jubilee, for Christmas, or as consideration business partners. 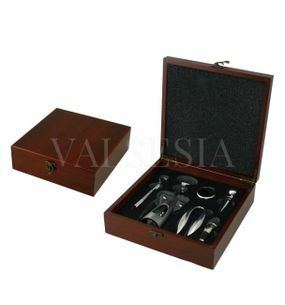 Darčeky a doplnky k vínu Corkscrew Deluxe accessories in gift box - mahogany Exclusive, elegant wine set of devices with a wine opener in a beautiful gift box in mahogany finish. 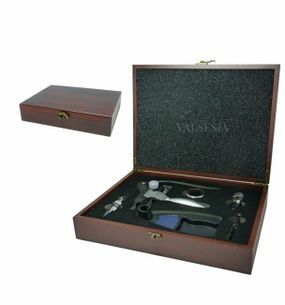 Valuable gift that will make everyone happy, or donate it to the jubilee, for Christmas, or attention as a business partner.